Bruxism is a very common problem for the general population due to excessive levels of stress and anxiety. It is a parafunctional condition in which the patients grind or clench their teeth when they are awake or during sleep. Tooth structure is rapidly destroyed by bruxism and that creates difficult treatment situations. Clenching of teeth does not wear away the teeth as bruxism but the excessive force being placed on the TMJ (the joint) structures for a long period may cause harm and dysfunction to the joint. Bruxism may be a combination of physical and psychological factors. The main cause is increased anxiety and stress. Also,dental occlusal problems in some cases can cause bruxism. That happens when the teeth do not line up or come together properly, athough some authors disagree about this case. Rare diseases such as Parkinson’s disease, epilespy, dementia and others are related to bruxism. Bruxism may also be a side effect of some antidepressent medication. There are several approaches and therapies conserning the treatment. Muscle relaxants for a short period of time in some cases might be helpful, along with TMJ exercises. Relaxation techniques for anxiety and stress reduction are necessary. The use of transcutaneous electric nerve stimulation (TENS) and the biofeedback techniques can improve the treatment outcome in most of the cases. 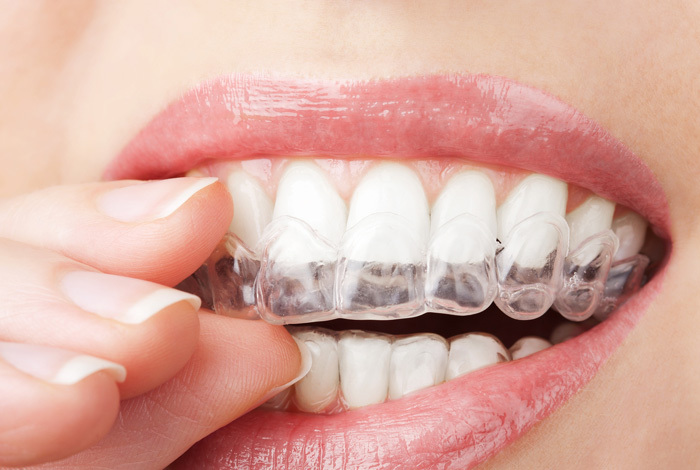 A mouth guard or splint in some cases may be fabricated from a specialist in order to keep teeth separated and avoid the damage caused by clenching and grinding. This device helps the masticatory muscles to relax and to relieve the symptums. 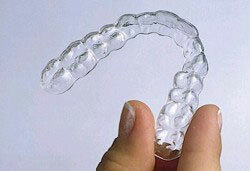 It is made of hard acrylic or soft materials and fits over the upper or lower teeth during the night sleep. In severe cases composite resin fillings or crowns are necessary to repair the damage of fractured, chipped or flattened teeth.